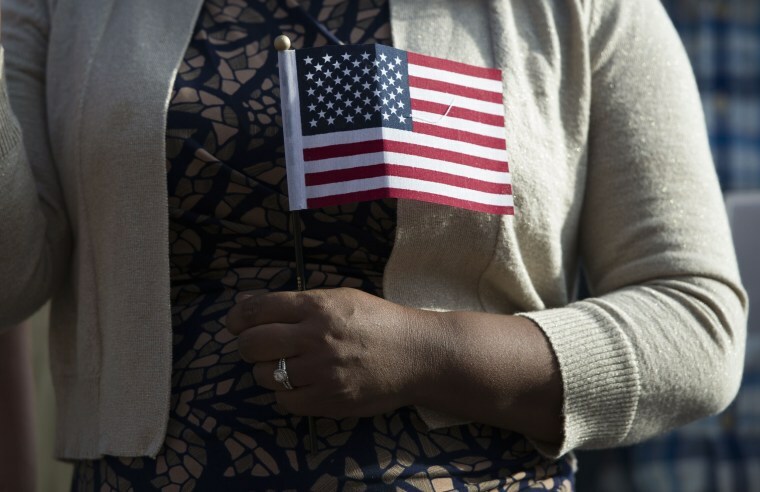 But for spouses of U.S. citizens who came to the country illegally, been previously deported or have other violations in their background, becoming a legal resident is a lot harder — and in some cases impossible — because of a 1996 immigration enforcement law and the Trump “zero tolerance" immigration enforcement policy. Juarez had tried to enter the U.S. in 1998 from Mexico when she was 18 — she has said she was escaping violence in her home country — by presenting herself to immigration officials and claiming to be a citizen. Her attorney said she immediately retracted the statement. She was removed from the country under the speedy deportation process put in place by the 1996 law. ICE's account on another attempt, in which the agency said she claimed to be a citizen, conflicts with an account by Juarez's attorney. Juarez had been able to stay in the country even after the prior removal was discovered because of Obama administration policies that made immigrants who had committed crimes or public and homeland security threats the priority for deportation. In the case of Juarez, she was checking with immigration officials on regular basis, who told her she wasn't a priority. But the Trump administration has done away with that priority system. The Obama administration created a "parole in place" system for military spouses such as Juarez, who are in the U.S. illegally, to apply for legal residency without leaving the country, so they are not kept from returning. But parole in place is done on a case-by-case basis and Juarez was denied several times. But the share of approved applications dropped from 81 percent (4,058 approvals of 5,018 requests) during FY2016, the last full fiscal year during the Obama administration, to 73 percent (4,800 approvals of 6,595 requests) in FY2017, nine months of which was during President Donald Trump's administration.